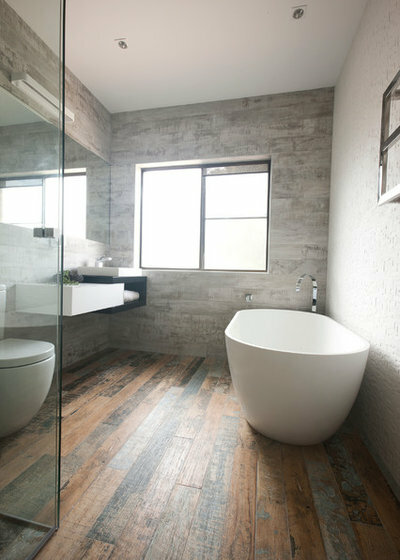 Need to choose tiles for your new bathroom or kitchen reno? 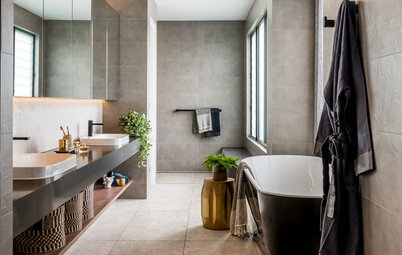 If so, you won’t want to miss this – Vanessa Thompson, strategic designer at Beaumont Tiles, reports back on the hottest tile colours, finishes and formats she spotted at the recent Cersaie ceramic, tile and bathroom fittings trade fair in Italy, giving you a sneak peek into the looks that will be trending in Australia in 2019. 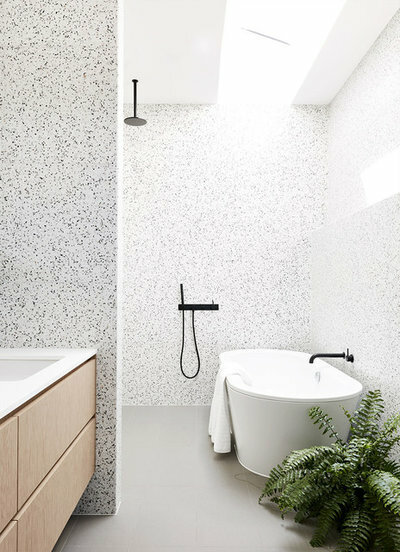 Terrazzo is one of the biggest trends of 2019 – expect to see it everywhere from tiles and furniture to accessories in the coming year. 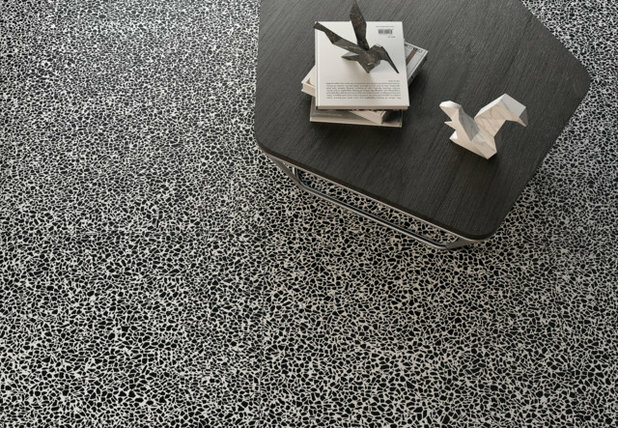 Terrazzo crept into our collective consciousness last year, but 2019 will see an explosion in the number of colours and styles available, including soft pastels, striking black-and-white, and grey-and-white combinations. Next year, terrazzo chip sizes will be bigger than ever – think bold features that really catch the eye within a floor or wall surface. Terrazzo tile sizes are getting ever-larger too – you’ll find slab sizes that range from 600 x 1,200 millimetres to 1,200 x 1,200 millimetres in size. Advances in tile technology have allowed manufacturers to explore exciting new combinations of terrazzo finishes, shapes and colours. At Cersaie, blue and green aggregate featured heavily, which tie in beautifully with the trend for all things natural that we are anticipating more of in 2019. We also saw powdery pinks and blues in terrazzo tiles that create a soft, feminine look. 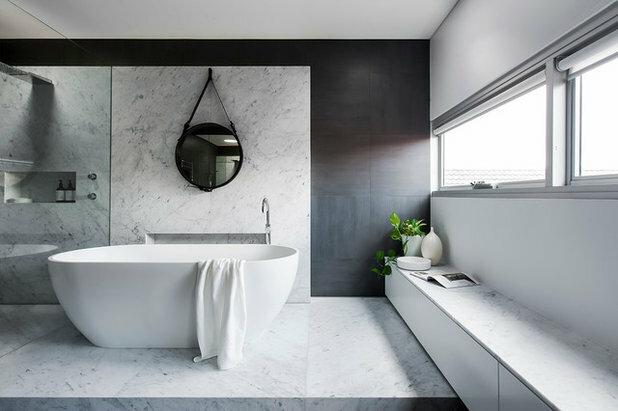 In 2019, you’ll see terrazzo tiles used on bathroom walls and floors as well as kitchen splashbacks and island benchtops. It will migrate outside too – expect to see it in outdoor showers and in alfresco entertaining areas where the light will showcase its natural beauty wonderfully. 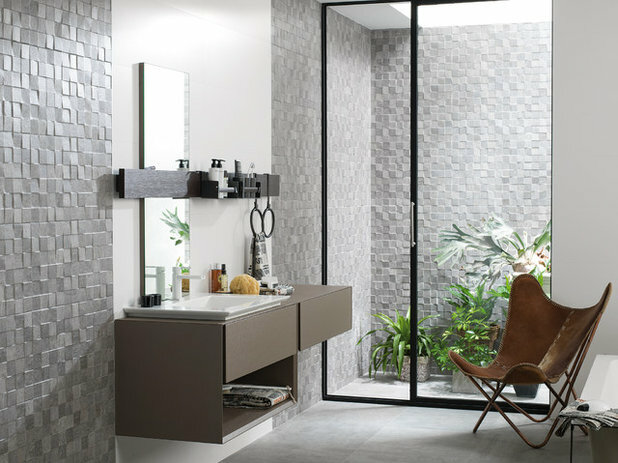 This year’s Cersaie trends can be summed up in three words – large, colourful and natural. The super-sized ceramic slab tiles we saw at the show certainly fell into the first category. Marble-look ceramic slab tiles were particularly prominent. White-, brown- and black-based marble-look tiles dominated with fine, elegant veining in polished, natural and silk finishes. 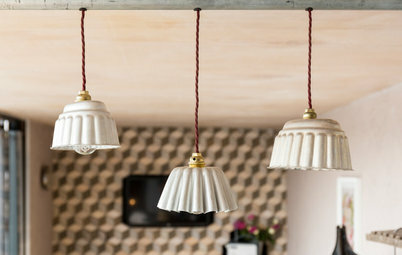 These are perfect for giving your bathroom a sophisticated look. 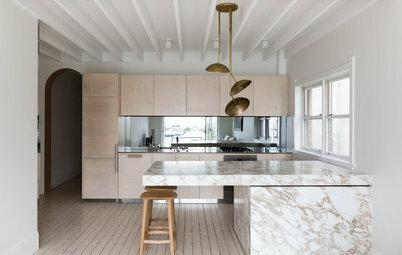 And these marble-style slabs are more realistic-looking than ever: recent technological advances in the ceramics industry mean the only thing that gives them away is their grout lines – and even those are starting to disappear as the trend towards ever-larger tiles and slabs gains momentum. 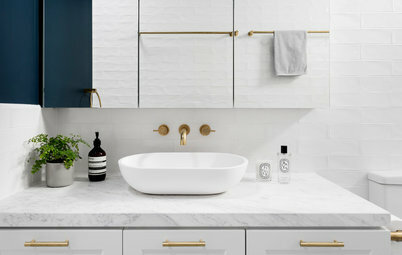 The classic white subway tile has had a makeover and interesting variations on this style will gain traction in 2019. At Cersaie, we saw subway tiles in bright, eye-catching colours – sunshine yellow, fire-engine red, cobalt blue and forest green were particularly popular. 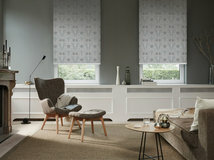 At the other end of the colour spectrum, we also spotted muted tones of sage green and sea-inspired blues – perfect complements for the soft greys we will see in Scandi- and coastal-style homes this season. 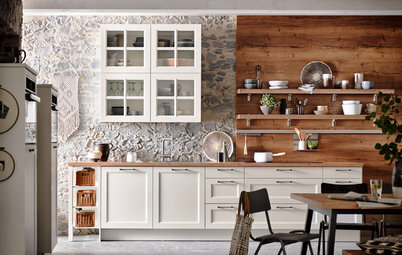 Designers have injected interest into subway tiles in other ways too, such as adding intriguing 3D patterns that let you create an eye-catching look on your bathroom or kitchen walls. Raw, natural finishes were extremely prominent at Cersaie this year, and concrete was right at the forefront. But we’ve moved on from the very rugged concrete finishes of the last year or two; this year we will see softer, more refined-looking concrete. 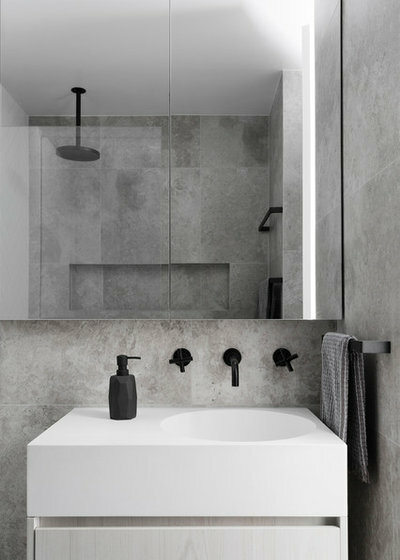 Aesthetically, the new wave of concrete-look tiles are far more convincing than their predecessors, with more detail and natural-looking variations and imperfections in the surface design – this is largely down to the increasing sophistication of ceramic digital printers. 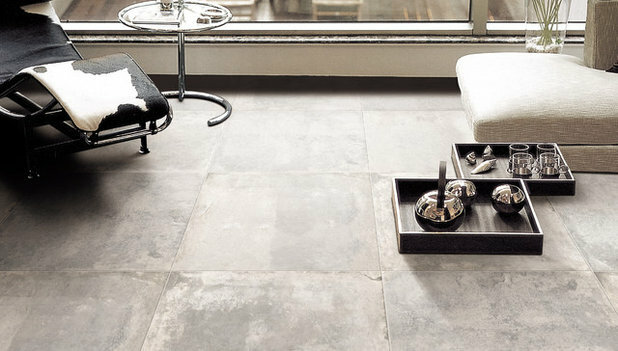 The naturally aged detailing seen on the latest concrete-style tiles includes features such as marks and scratches that give them depth and character. 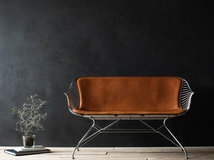 This adds a new warmth and softness to a notoriously hard, industrial material, making it more appealing for residential use. Colour-wise in concrete-look tiles, we saw plenty of greige at the show. Tile sizes are also increasing; we spotted concrete-look styes ranging from 800 x 800 millimetres to 1,200 x 1,200 millimetres. Slab-size, concrete-look tiles can even go up to 1,000 x 3,000 millimetres. 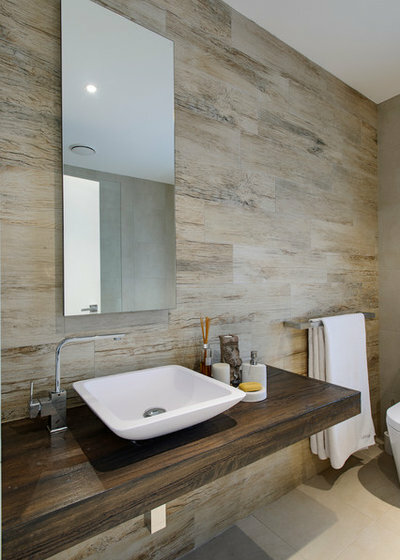 These large slab tiles create a streamlined look, with almost non-existent grout lines. 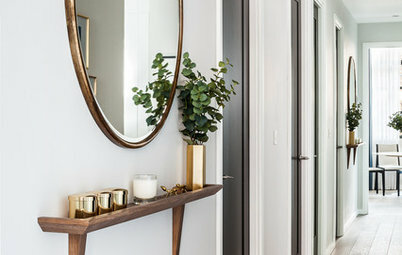 The natural look will remain a popular trend in 2019 as our love affair with indoor-outdoor living continues. Timber-look tiles have been around for a few seasons, but they were still a strong offering at Cersaie. This year has seen them evolve in size; with styles measuring 300 x 2,400 millimetres. 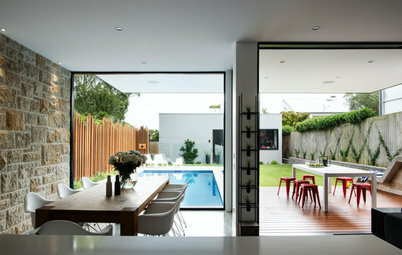 They now look more like real timber boards than ever, making them an appealing choice for floors. The latest raft of timber-look tiles we saw at the show were also noticeably more realistic than their predecessors, with texture and natural variation between faces making them hard to distinguish from the real thing. Which of these tile styles tempt you the most? Tell us your favourites in the Comments, save the images, like this story and join the conversation. 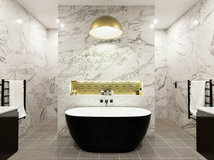 Thinking about renovating your bathroom? 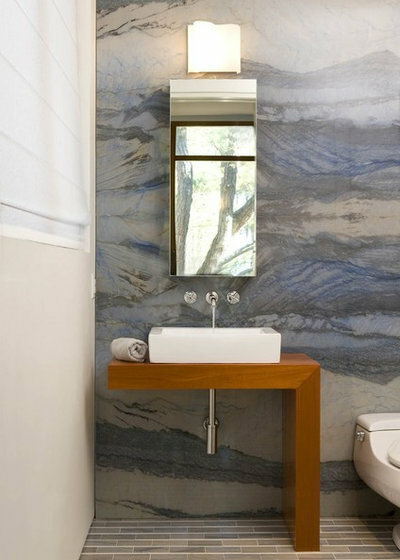 Find a bathroom designer to help turn your vision into a reality. Not sure how you can call out the timber look as faux and then ignore the faux marble, faux concrete, and even the faux terrazzo. 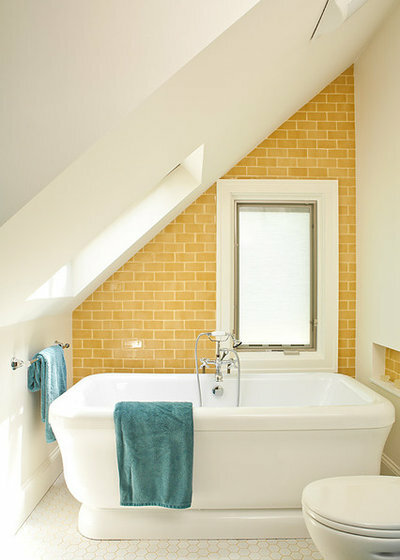 Love the yellow subway tiles with the blue towels in a white bathroom. We are going to do our en suite. 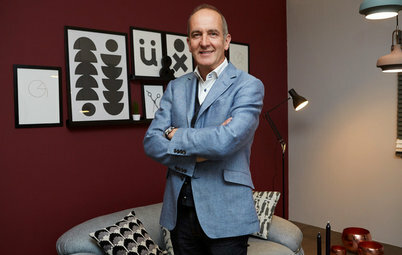 And gathering ideas, so thank you for this article. One thing I have seen that is not mentioned is coloured glass shower walls ( like the splash back in the kitchen), no grout, an idea I love. 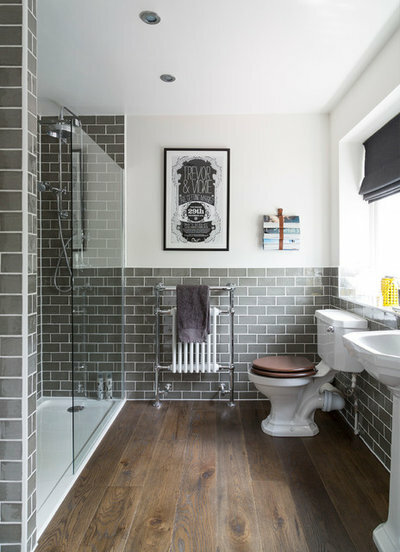 The en-suite space is small, to break it up with grout lines only adds to the small ness. Also I hate that the whole room gets damp from the shower steam, so am considering the shower being sealed with a air vent above it, if it is allowable it would double as a mini steam room of sorts. Another idea I would like is to have the handbasin water to be no colder than body heat, and no hotter than a few degrees warmer, is there any plumbers that understand this idea.? I would like to hear from you. Bathroom Expert Advice How Do I... Choose the Right Bathroom Taps?